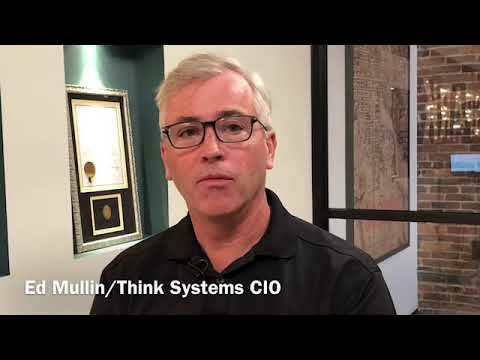 Ed Mullin - Think Systems, Inc.
Ed is Vice President and Chief Information Officer for Think. He has extensive experience in leading the teams of Fortune 1000 clients to success, as well as a proven track record of leading software development teams that successfully implement solutions to complex business problems. In the past, Ed has lead software development teams at Fortune 1000 clients such as Becton Dickinson, Under Armour, Geico and UPS. As a CTO/Project Manager/Solution Architect, Ed was responsible for matching business needs with technical architecture. Ed holds B.S. and M.S. degrees from Loyola College in Baltimore and has worked at Maryland firms such as UPS-Roadnet, Becton Dickinson, CMSI, PHH-Element, Catalyst Research, SMC-SAIC, Hartman Executive Advisory and SC&H Group.